MarketSaw - 3D Movies, Gaming and Technology: Andrew Garfield Officially Named Peter Parker For Sony's SPIDER-MAN Reboot! 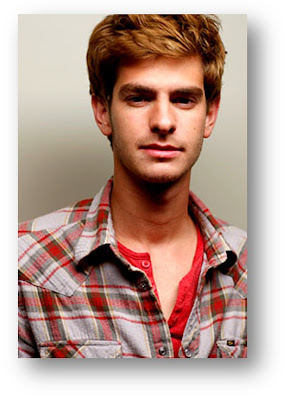 Andrew Garfield Officially Named Peter Parker For Sony's SPIDER-MAN Reboot! BREAKING: Andrew Garfield (THE SOCIAL NETWORK, THE IMAGINARIUM OF DOCTOR PARNASSUS) has been officially named the new Peter Parker for the upcoming Sony reboot of the SPIDER-MAN franchise! What do you make of the decision? Apparently not even he knew about the selection until this afternoon - that is pretty tight security!